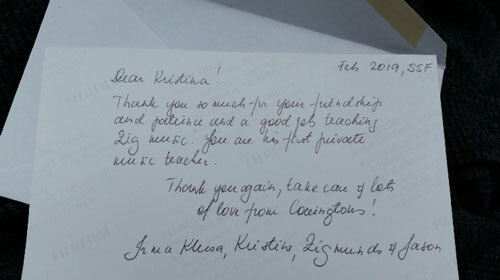 Thank you so much for your friendship and patience and a good job teaching Zig music. You are his first private music teacher. Thank you again, take care & lots of love from Covington!" "Just wanted to say we love Ted, he has been great with Kieran!" 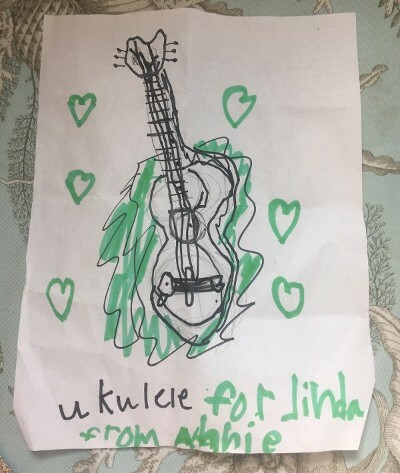 "Matt has instructed my sons, ages 12 and 14, for the past few years on guitar and now one of them on ukelele. They started as beginners and now enjoy playing non-stop. In addition to helping develop their love for music, Matt has always been punctual and professional and is a welcome addition to their weekly schedule. He is always very flexible and willing to help his students learn not only the essentials, but encourages them with music they enjoy to keep them interested." "She's GREAT! Arjun has been so motivated by not only her attitude but her preparation and song selection. This week it's a Star Wars song and he's THRILLED! She's also been teaching Ashish and he's sticking with it - which I think says more about Teacher Lara's determination and patience more than anything :) We like her!" "Lara is an excellent teacher. Each student is unique and comes into music at an individual level with specific needs and interests. 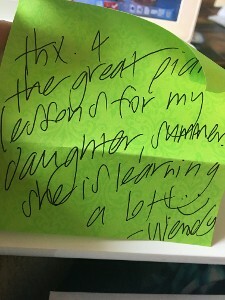 She adjusts to those needs and interests to support each student in the best way that she can. She has helped me learn rapidly at the pace that I wish to go and has been entertaining and fun to be around at the same time. I couldn't ask for a better person to learn from." "The kids really enjoy their lessons with Mr. Askew. They are practicing on their own without any prompting. They enjoy the wisdom he shares during his lessons." Groups: Amethyst Trio and Celtic Sands. Lara also has a MA from SFSU in International Relations. Teacher Daniel graduated from UCSB with a degree in linguistics. An English teacher and a certified EMT in California. Daniel has 15 years of experience playing the piano. He also plays the saxophone, mallets, and guitar. He has 2 years of experience teaching and enjoys traveling, the ocean, and music, along with working with bands.